SAULT STE. 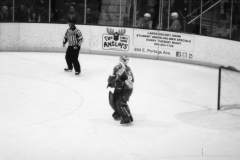 MARIE – Taking advantage of their power play opportunities, the Minnesota State – Mankato Mavericks strung together a five goal second period, erasing the Lake Superior lead on their way to a 5-1 win over the Lakers on Friday night. Lake Superior opened the scoring when Hampus Erikkson earned his first career goal. The native of Forsbacka, Sweden, blasted a shot from outside the blue line that evaded Maverick goaltender Jason Pawloski, finding the back of the net. The Mavericks tied things up right after the expiration of a penalty to Nicholas Rivera. 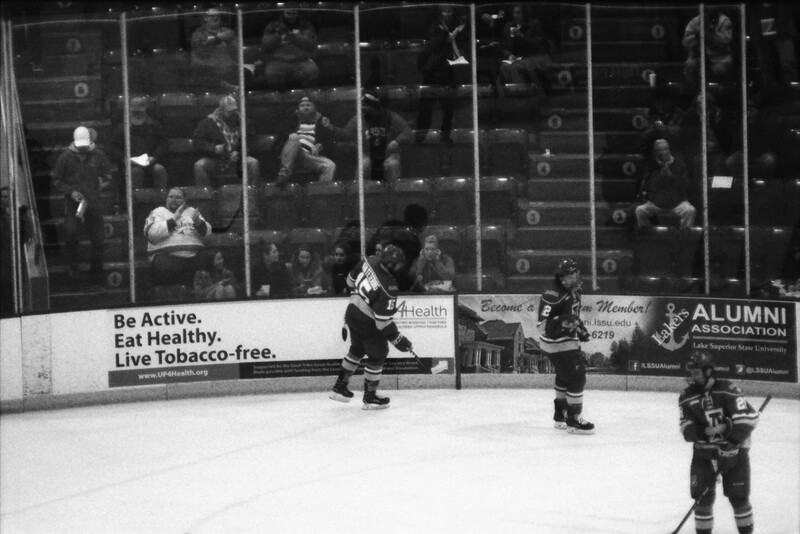 Rivera, who was off for boarding, managed to pick up an assist on the goal from Jared Spooner at 2:42 of the period. 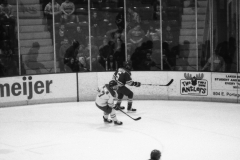 Following the goal by Spooner, the Lakers found themselves unable to contain the high-powered offense that Mankato brought with them during the second period, as the Mavericks found the back of the net four more times. For the Mavericks, Parker Toumie, Zeb Knutson, Jake Jaremko and Daniel Brickley all capitalized throughout the period. 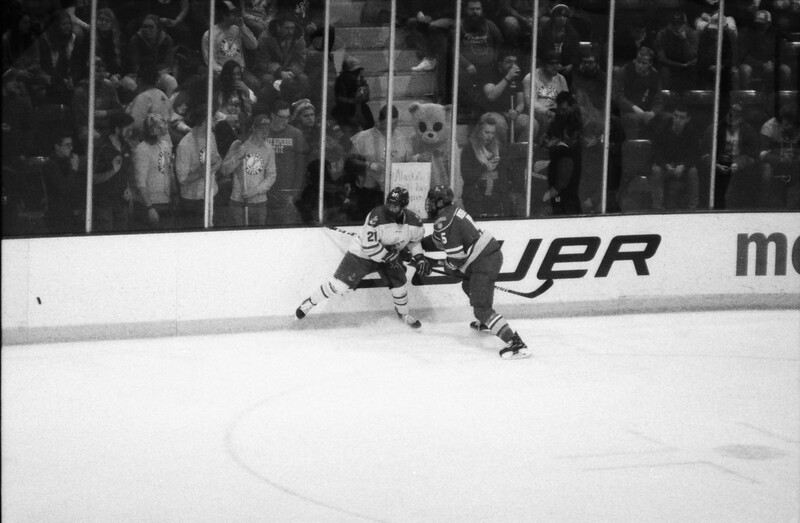 Despite sustained offensive pressure in the third period, the Lakers could not convert, as Pawloski closed the door the rest of the way. 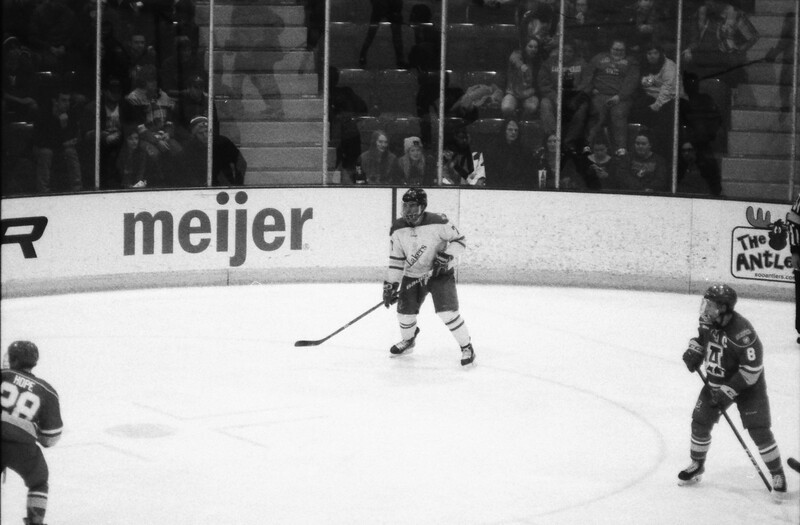 For Minnesota State, Knutson finished the night with four points on 1 goal and 3 assists. 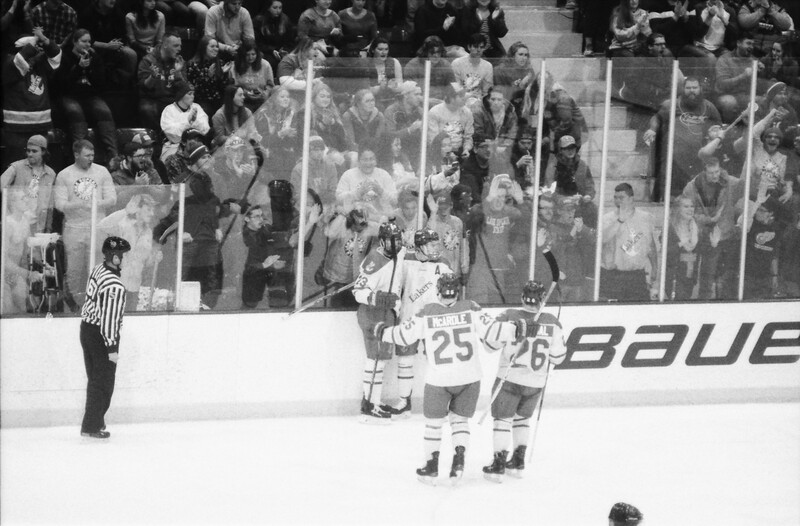 Other multiple-point getters included Brickley (1-2-3), Spooner (1-1-2), and Jaremko (1-1-2). Kato went 2 for 6 on the man advantage, while Lake Superior was 0 for 5. Between the pipes, Nick Kossoff had 34 saves on 39 shots. Across the ice, Jason Pawloski picked up the win with 23 of 24 saves. While he was effectively shut down by the Mavericks blueliners, J.T. Henke was 17-9 in the faceoff circle. Henke came into the game in sole possession of the top spot in the WCHA scoring race, and currently sits tied with Knutson of the Mavs. Making his return to the lineup for Lake Superior was freshman defenseman Lukas Kaelble. Kaelble had been injured and out of the lineup since the series against Denver back in October. Before the start of the game, a moment of silence was observed in memory of James W. Moody, late professor of History and Geography at Lake Superior State, who passed away earlier this week. Moody had taught at Lake State since 1971. 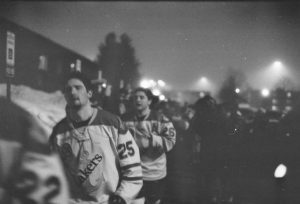 Some shots from the series between the Lakers and the Nanooks from the University of Alaska Fairbanks. SAULT STE. 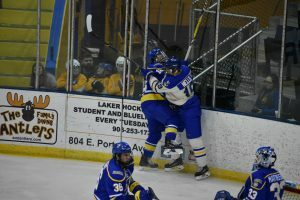 MARIE – A very physical hockey game saw Lake Superior rally past Alaska with four third period goals, as they earned a weekend split with a 4-1 win on Saturday at the Taffy Abel Arena. “I thought guys played. We didn’t have any passengers, guys showed up and played hard,” said Lakers head coach Damon Whitten. “We had much better urgency and intensity, so I’m happy about that. Both teams came out hitting hard and often. The physical play did not escape notice of the referees, who issued 22 minutes worth of penalties in the first two periods. The third period saw the whistles essentially put away, as the referees seemed content to allow the teams to play. Through the first half of the game the defenses stood tall, as neither team had much luck generating scoring chances. 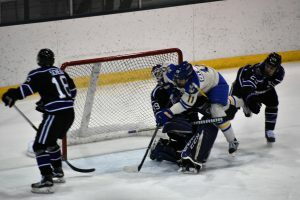 Nanooks goalie Anton Martinsson weathered the early storm (with the help of two Laker shots clanging off the pipes), but unlike Friday night, the Lake Superior D corps gave Alaska few opportunities. As the second period wore on, the Lakers started getting more offensive pressure as the game wore on, but Martinsson kept the Lakers out of the net thru two periods. 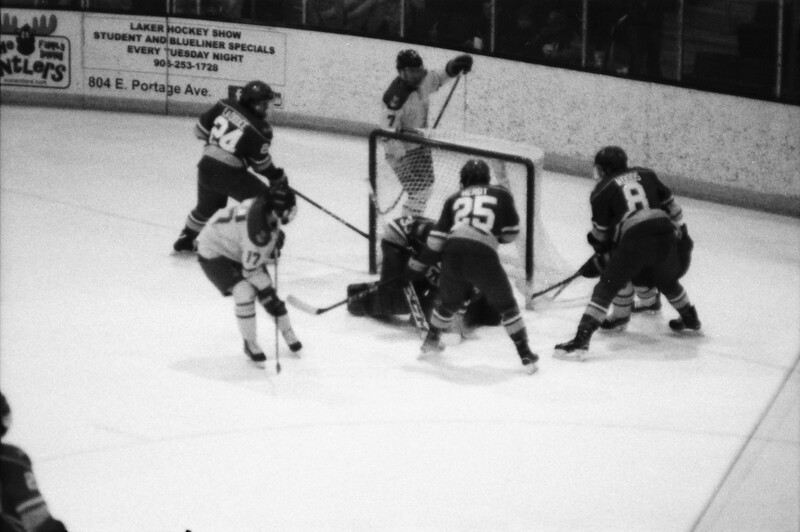 With about five minutes remaining in the second period, Alaska capitalized on a power play chance, as Ryker Leer broke the stalemate by taking the puck and putting it up and over Nick Kossoff (who was diving in an attempt to snare the puck) and into the goal. 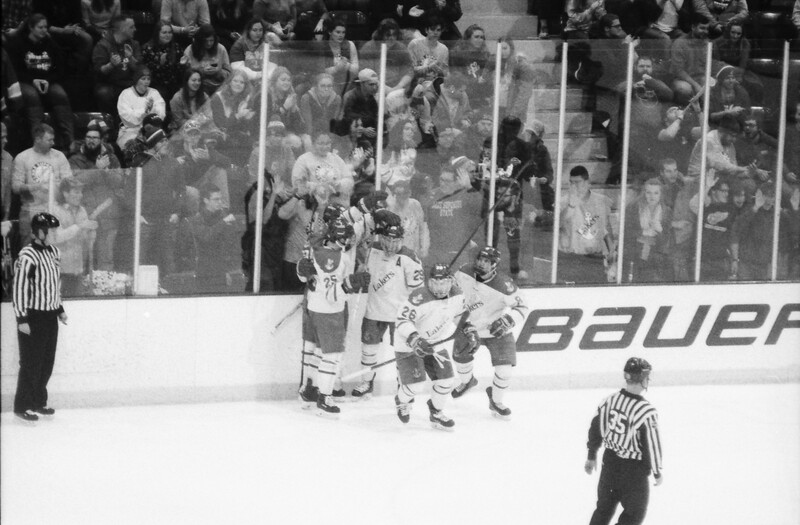 Less than two minutes into the final period, the Lakers evened things up, as freshman defenseman Tyler Anderson earned his first collegiate goal. 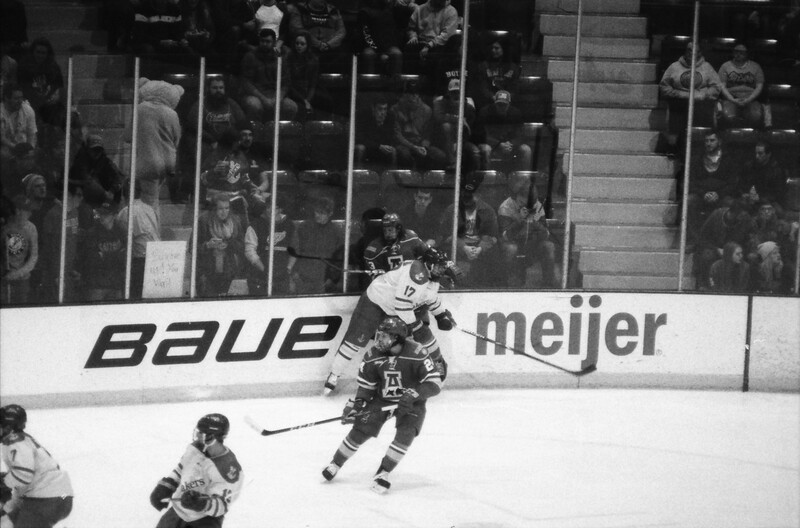 Anderson picked up a loose puck while his team crashed the net and swatted the puck behind Martinsson on the stick side from the edge of the circle. 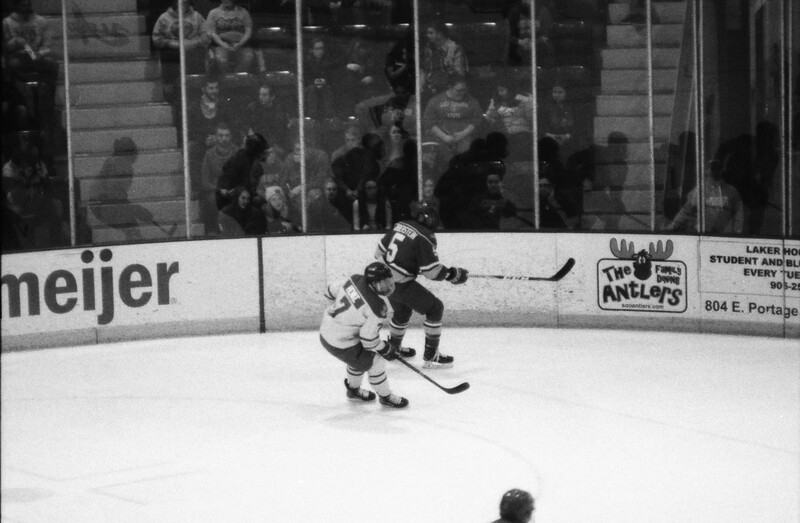 Just over six minutes later, with the Lakers on the power play, Henke got a loose puck and beat Martinsson, giving Lake Superior its first lead of the weekend in the process. Henke’s shot came from almost the exact same spot as Anderson’s. 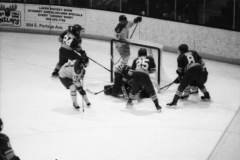 Henke later added an assist on a goal by Anthony Nellis, as he passed the puck right through the skates of Alaska defenseman James LaDouce to Nellis, who deked and slipped the puck beneath the left leg of Martinsson. With two points on the night, Henke (4-11-15) pulled ahead of Seuss for sole possession of first place in league scoring. 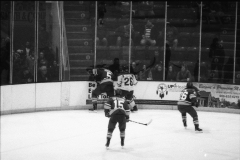 Lake Superior salted the game away with an empty netter from Diego Cuglietta to secure the 4-1 win for Lake Superior, helping them to earn a series split with the Nanooks. 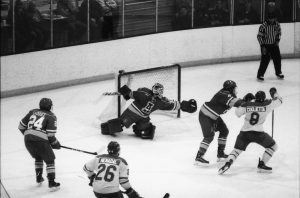 “I thought we played well for five periods and that’s not good enough to win two games on the road,” said Nanooks head coach Lance West. “Last night we won some battles, got to the net and scored, and tonight I don’t think we got to the net. Laker goaltender Kossoff faced just 20 shots, making 19 saves in the process to collect the win. 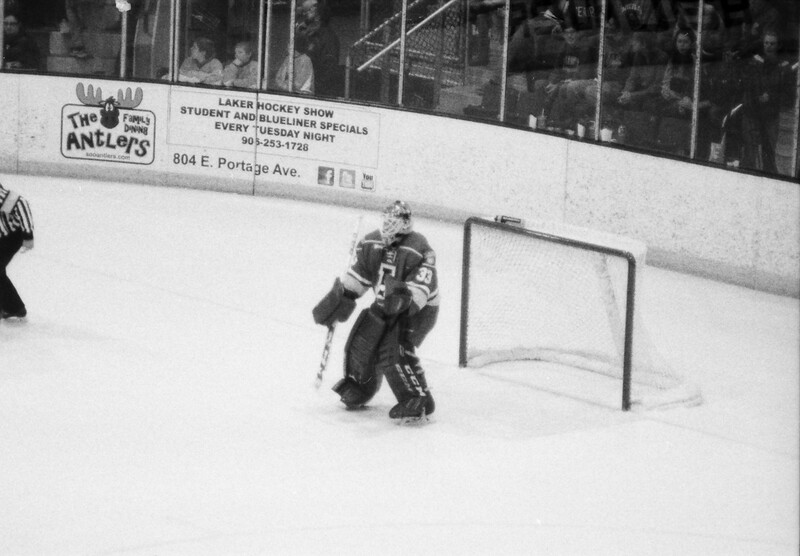 Martinsson, his counterpart, came up with 27 saves on 30 shots. Josh Kestner scored two goals, including the game winner 1:48 into the second period, as the Chargers held on to beat the Wildcats, splitting the weekend series. 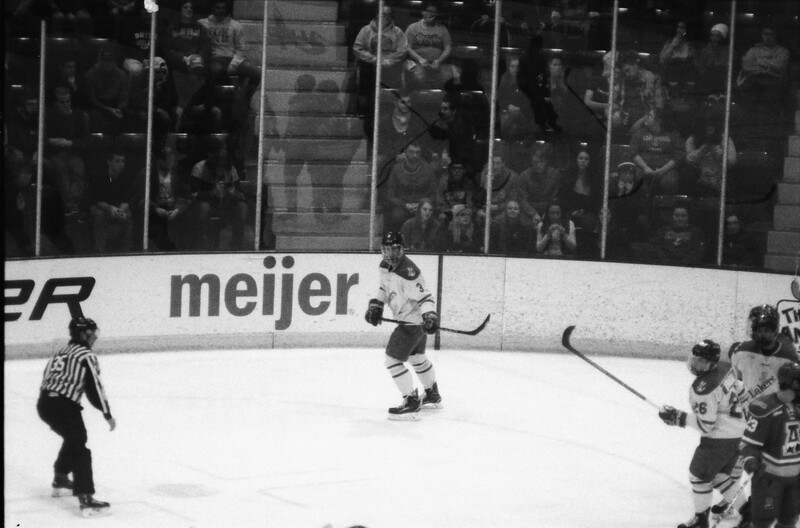 Northern Michigan held the lead twice in the first period, but Huntsville responded each time. All five goals in the contest came within a 7:00 stretch of play. In goal, Jordan Uhelski made 22 stops to collect the win, while Mathias Israelsson had 18 saves in defeat. 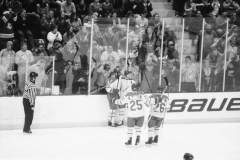 A three goal third period led the Bulldogs past the Seawolves, enabling them to sweep the weekend. 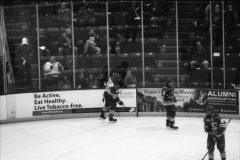 Alaska-Anchorage erased a two goal deficit in the second period with goals from Austin Azurdia and Corey Renwick. Two goals by Taylor Fernandez plus one more from Craig Pelfey made the difference for Ferris State. 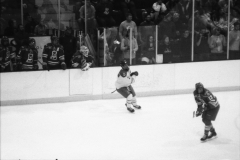 Pelfey finished with 2 goals and 2 assists on the night, as Justin Kapelmaster had 27 stops. 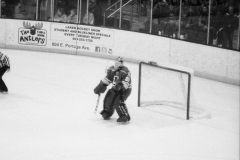 His Seawolf counterpart Olivier Mantha had 28 saves on 32 shots. 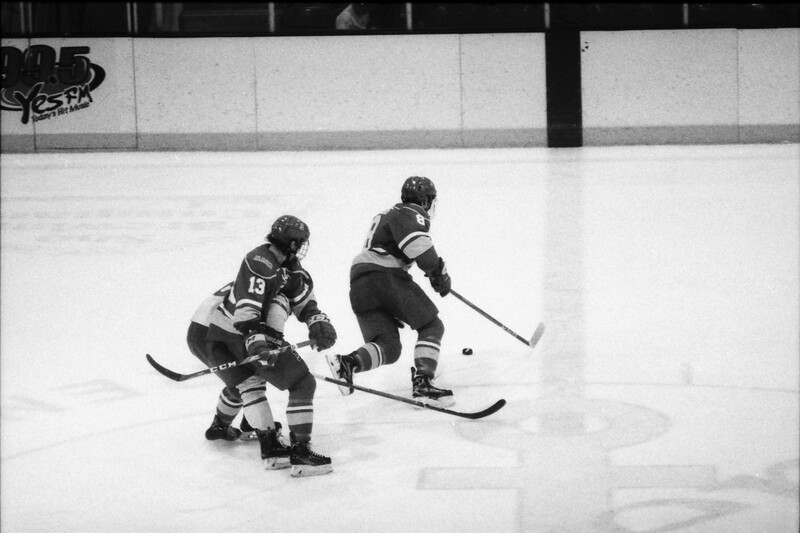 The Beavers trailed 2-1 going into the third period before goals by Dillon Eichstadt and Ian Janco put them in the lead. 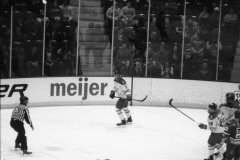 Bowling Green’s Lukas Craggs then sent the game to overtime with an extra attacker goal with 54 seconds left on the clock. 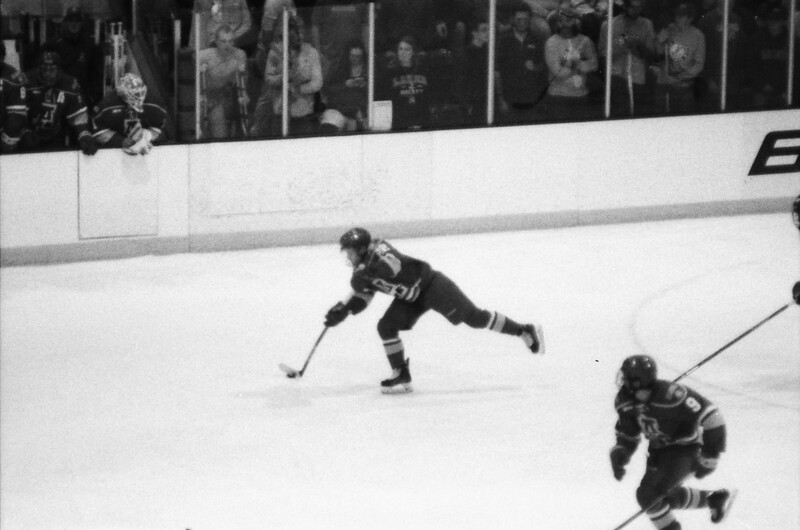 Jay Dickman scored the only goal in the shootout to earn the Beavers 2 of 3 points in the league standings. In goal, Michael Bitzer had 25 saves for the Beavers, while Ryan Bednard had 29 for the Falcons. Bowling Green earned 4 of 6 points on the weekend. SAULT STE. 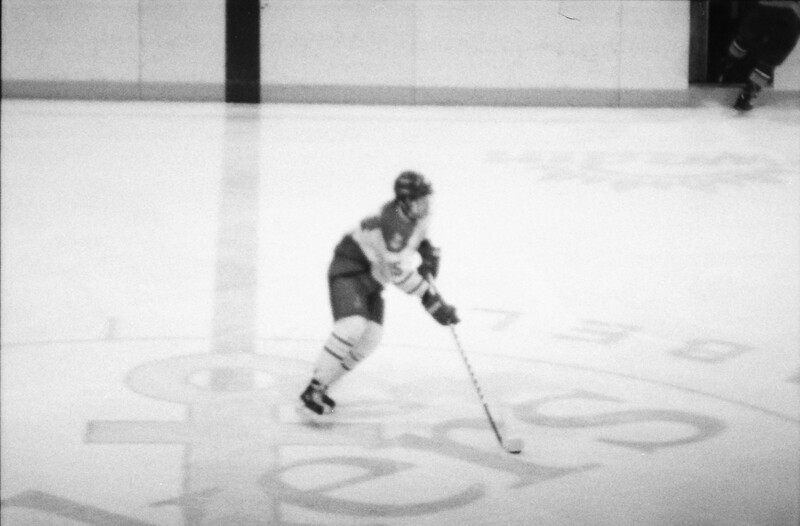 MARIE – Three goals in just 42 seconds put the Lake Superior State hockey team behind the eight ball midway thru the first period, as the Alaska Nanooks, fueled by a hat trick from Troy Van Tetering, held off a potential Laker rally en route to a 5-3 win on Friday night at the Taffy Abel Arena. Despite dominating play during much of the opening period, it was the Nanooks (5-10-2, 3-7-1-1 WCHA) who drew first blood, as Justin Woods beat Mareks Mitens seconds after Alaska rang one off the post. Just twelve seconds later, Colton Leiter made the score 2-0 Alaska with a long shot that squeezed past Mitens on the short side. Van Tetering kept the momentum going for the Nanooks with another goal, putting the Lakers behind 3-0. 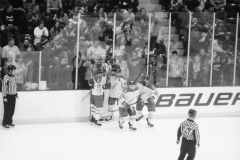 Although Lake Superior (3-9-3, 2-5-2 WCHA) got a goal back at 15:42 courtesy of Gage Torrel, the Nanooks returned to the dressing room up three, as Van Tetering earned his second goal of the night with under a minute left in the first period. 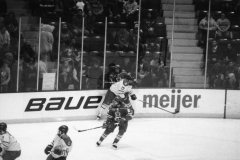 At 9:36 of the second period, Van Tetering had his hat trick, as he slid the puck beyond the outstretched arm of Nick Kossoff, who relieved Mitens after one period. Lake Superior started to rally late in the second. 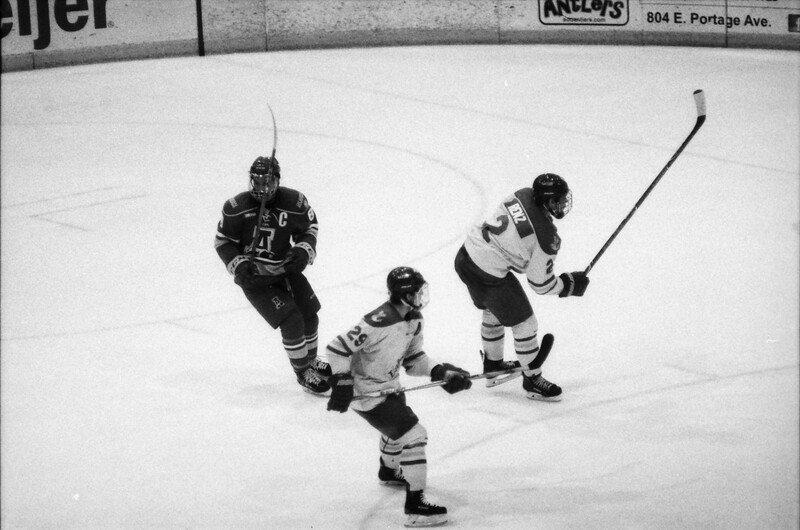 Max Humitz earned his 8th goal of the season with an unassisted goal in form of a wrist shot over the shoulder of Nanooks goaltender Anton Martinsson. 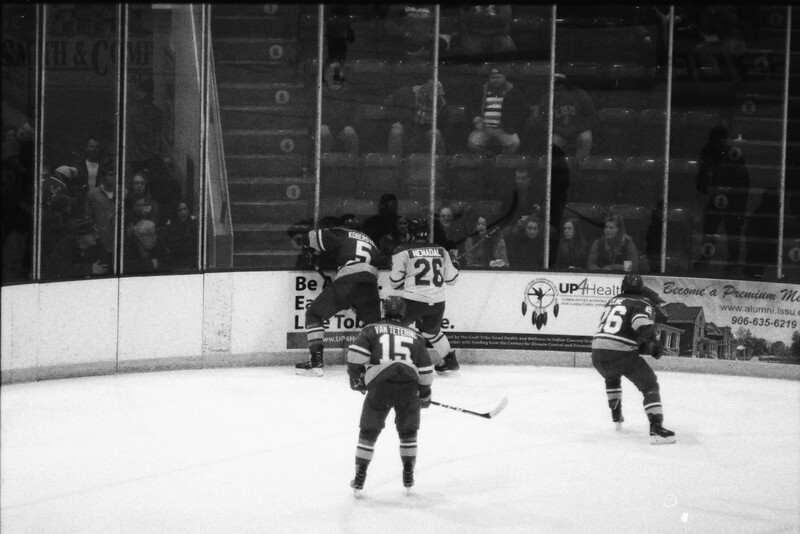 Humitz’ goal made it 5-2 Nanooks going into the third period. Senior forward J.T. Henke got the Lakers within two, as his fourth of the season cut the Nanooks’ lead to 5-3. Despite continued offensive pressure, however, Lake Superior was unable to find the back of the net again, falling by a 5-3 final. Both teams had a power play goal, as Lake Superior was 1 for 6 on the power play, while the Nanooks were 1 for 4 with the man advantage. Martinsson stopped 20 of 23 shots. 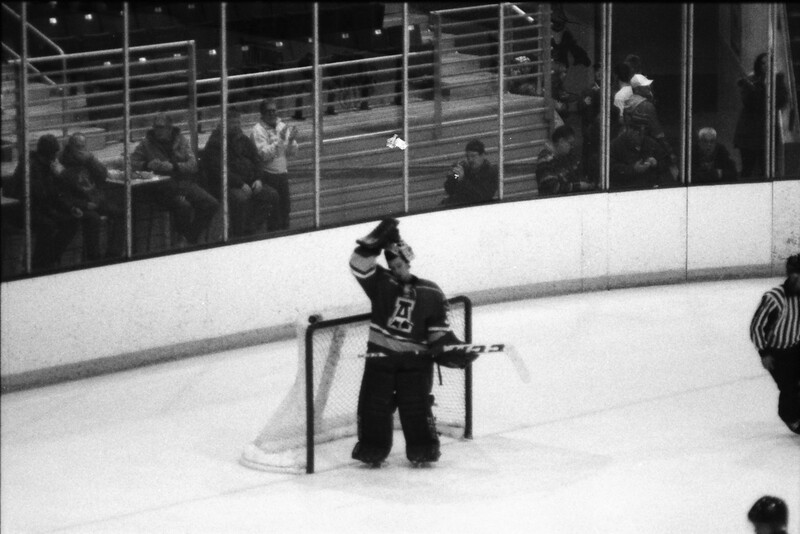 For the Lakers, Kossoff made 12 saves on 13 shots in relief of Mitens, who was victimized for 4 goals on 9 shots. Both teams are back in action Saturday night at the Taffy Abel Arena. 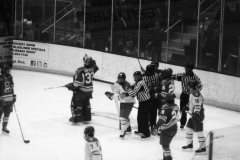 Justin Kapelmaster stopped all 22 shots he faced, while Jacob Hetz and Trevor Recktenwald each scored their first goal of the year for the Bulldogs. The Seawolves’ Olivier Mantha posted 46 saves on the night, but his team was unable to give him any goals in support. Both teams went 0 for 3 on the power play. Anchorage defenseman Nicholas Nolan registered 7 blocked shots for the Seawolves. Two shorthanded goals less than two minutes apart put the Wildcats ahead of the host Chargers at the Von Braun Center. Christian Rajic opened the scoring for Alabama-Huntsville, before Troy Loggins and Adam Rockwood cashed in with shorties late in the second period. 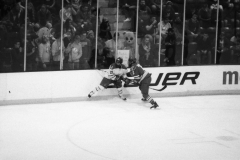 Zach Diamantoni netted a power play goal in the third for the Wildcats. Mathias Israelsson faced just 16 shots, turning them all aside, save for the Rajic goal. 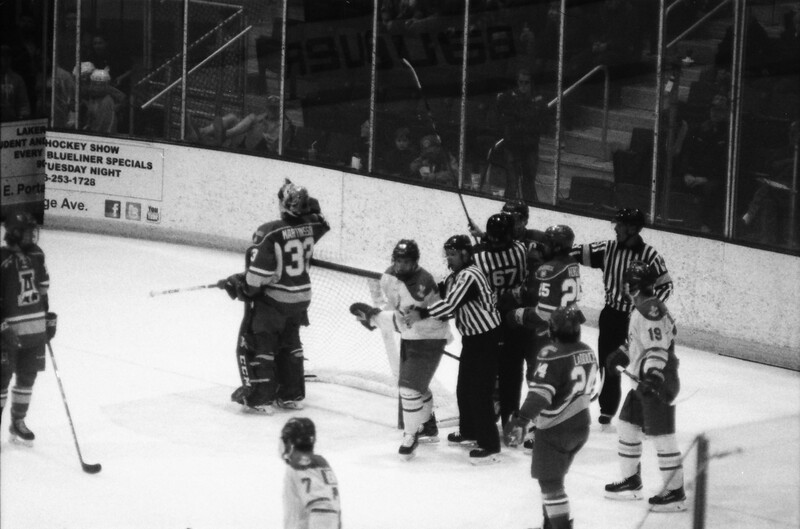 Things got dicey in the third period, as four penalties were called for roughing after the whistle. 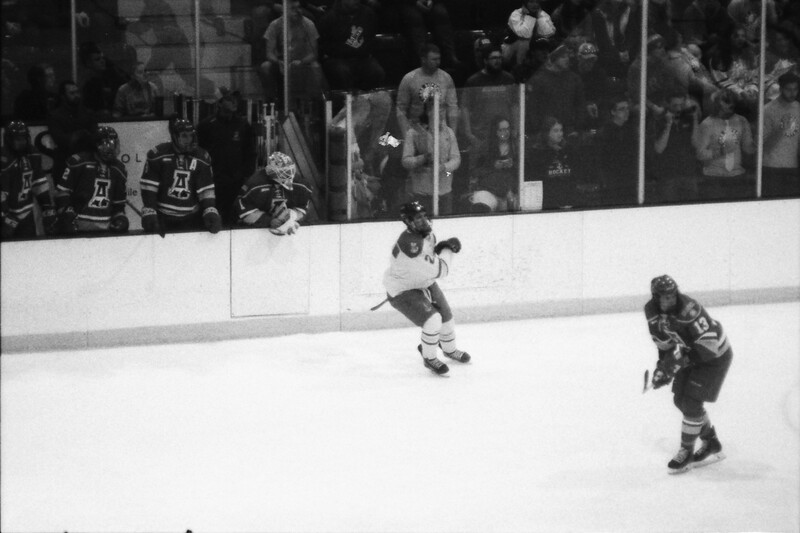 Niko Coffman could not have picked a better time to score his first goal of the season, as the sophomore defenseman from Chelsea, Michigan, netted the game winner for the Falcons with only 1:12 remaining in the game. 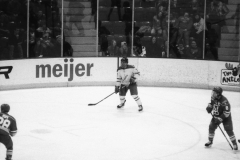 Brandon Kruse and Mitch McLain also scored for Bowling Green (McLain on an empty net), while Mike Soucier picked up the lone goal for the Beavers. 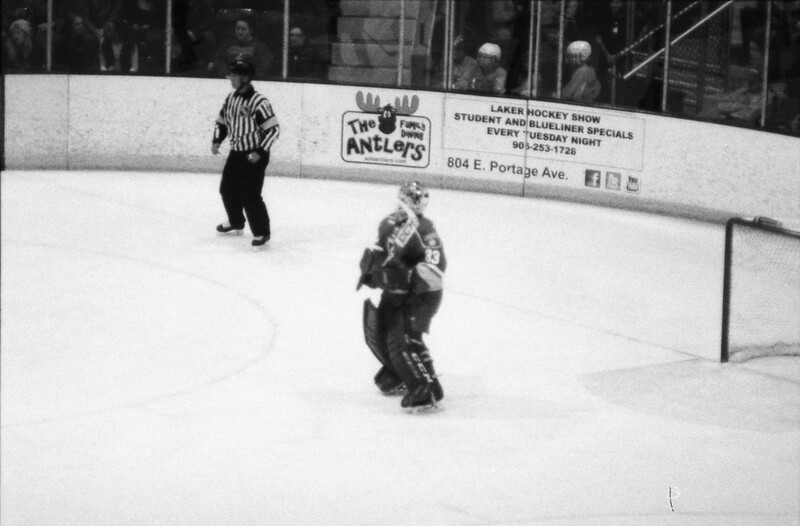 Both BSU’s Michael Bitzer and BGSU’s Erick Dop made 24 saves.